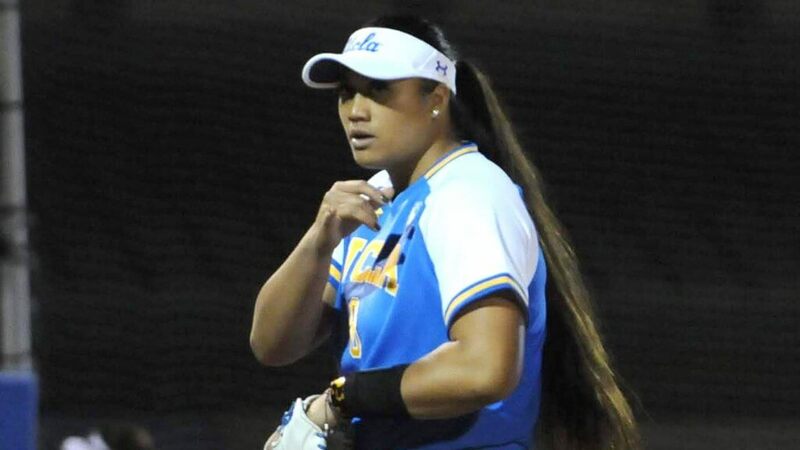 Megan Faraimo of UCLA has already thrown two no-hitters in February 2019 and will try to help the Bruins stay undefeated. Photo: Jasmine Sosa / UCLA Softball. We’re in the fun time of the preseason when you get some interesting match-ups in top events like Mary Nutter (last week) and Judi Garman (this week) and it will have a big impact in our Extra Inning/JWOS College Power Rankings for Week 3. Keep an eye out for the Garman Preview we'll publish soon as we preview the interesting matchups that will take place at Cal State Fullerton this weekend. One of those will be a contest between two of the five undefeated teams in the Top 10 of our Extra Inning Softball/JWOS Power Rankings as either UCLA and Florida will leave Fullerton its first defeat! Here’s our Week e rankings as compiled by our college correspondent Justin McLeod, publisher of Justin’s World of Softball (JWOS). The ‘Noles went 5-0 on the weekend, earning run-rule victories in each game and outscoring their opponents by a combined score of 68-4. A perfect showing at the Mary Nutter Classic was highlighted by the Bruins’ 7-1 victory over Oklahoma, a matchup that will almost certainly have postseason implications. The Gators are a perfect 18-0 to start the season, and won six games over the weekend, outscoring their opponents 44-5. A perfect 6-0 at the Mary Nutter Classic, the Huskies enjoyed victories over Kentucky, Northwestern, and the previously-undefeated Texas Tech. For the second year in a row, the Sooners couldn’t get the job done in a single-game matchup against a top PAC-12 opponent, losing to UCLA, but did beat Arizona and run-ruled Cal State Fullerton. The Tide stayed perfect with a 5-0 weekend that included a pair of victories then-ranked Minnesota and two wins over quality mid-major Missouri State. Rain made the Lady Vols' hosted tournament interesting, but the team wasn't fazed, putting up a 5-0 record with a pair of shutouts and a 5-3 win over Louisville on Monday. Four of the Bulldogs' five wins saw the Dawgs shutout their opponents, as the squad's pitching staff allowed just a single run in the entire weekend's slate of games. Including a pair of run-rule wins, the Bulldogs outscored their opponents 31-1. A come-from-behind win over Ole Miss was the only slight hiccup in the Longhorns’ weekend that included a pair of run-rule wins and another pair of shutout victories. The Hoosiers took a pair of victories over the previously-unbeaten Loyola-Chicago Ramblers, but had to work for an 11-inning victory over the hosting Mercer Bears. The Tigers opened their home tournament with a loss to Stanford, but rebounded with four wins that included a pair of victories over Michigan. Sophomore Jana Johns' .909 batting average and 10 RBIs on the weekend, as the Gamecocks pulled off a 4-0 week, scoring forty-three runs and giving up just four. A rain-shortened tournament in Greenville, North Carolina left the Dukes with just a pair of games on the weekend, which included a 5-inning run-rule win over Boston College and a close victory over upstart East Carolina. The Red Raiders suffered their first loss of the season, a tight defeat to Washington, but an impressive overall showing in Cathedral City has the Red Raiders sitting firmly on the “Contender” side of the scale. The Cajuns’ weekend tournament in Waco, Texas handed the team their first pair of losses on the year, first in a lopsided defeat to North Texas, then in the tournament’s consolation game in a one-run loss to Baylor. Losses to Southeast Missouri and Drake were unexpected, large blemishes on the Hogs’ early record, though Danielle Gibson’s record-setting performance kept the team’s momentum from a complete downturn. The Beavers went 4-0 on the weekend, outscoring their opponents 27-4 and posting a pair of shutouts to close the Libby Matson Tournament in Stockton, California. The Badgers’ sole loss on the season came to Texas Tech in Houston on opening weekend; since then, the team went 4-0 in the ACC/Big Ten Challenge and outscored opponents 31-6 this weekend. An egregious loss to Bethune-Cookman at the Mary Nutter should have had the Ducks falling farther, were it not for the stumbles of a number of other teams. The Wildcats have yet to post a perfect weekend's record on the season, but have looked like a quality team even in most of their losses. The squad went 4-1 at the Mary Nutter, besting Long Beach State and BYU, among others, and losing 3-1 to Washington. Though no longer perfect, the Hokies rebounded from a blowout loss to Texas State - their first of the year - to return the favor in a blowout, shutout of the Bobcats the following day. A pair of wins over a quality Nicholls State team buoyed the Illini, despite a loss to Stephen F. Austin that saw the Illini end the weekend with a 3-1 record in Mobile. After a sub-par showing in Puerto Vallarta, the Bulldogs looked a little shaky at their hosted tournament over the weekend, posting a 4-1 record, but including a nine-inning loss to Southeastern Louisiana and a loss to Georgia Tech. A pair of weekend losses to South Alabama leave some question marks about the Ladyjacks, but at present, they have more wins over Top 25 teams (2) than, for instance, teams like Oregon (1). Two of the Bulldogs' four losses on the year came to Texas Tech in week two, though a victory over high-ranked Arkansas this weekend gave the squad a marquee win early in the year.